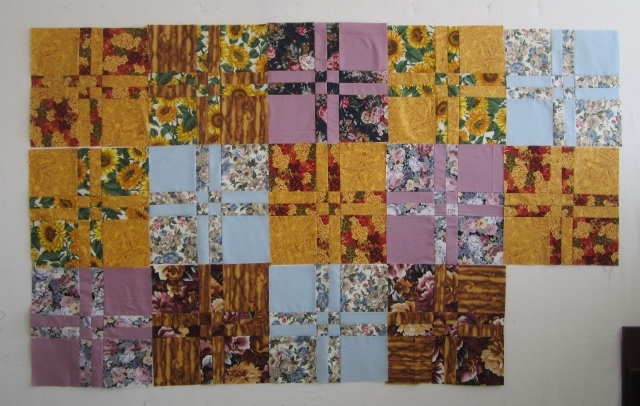 I have done some more poverty piecing for the Rainbow Scrap Challenge 2012. This month is Black to Grey. To see what other have done this week check out Soscrappy. I have no idea what I will do with these chunks of Poverty piecing. I did use the turquoise one for a book cover. I have also been using the little 3" spools for leaders and enders. This group is just from this past week. I am not showing you the blocks from the week before. 13 how unlucky is that. I do not like to leave it at 13, 12 ok, 14 ok. 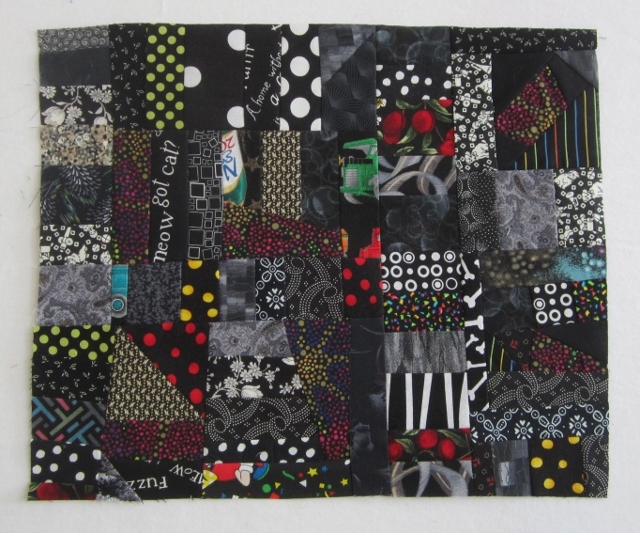 I also finished off 14 blocks to send to My Patchwork Life, last night. She was asking for disappearing four patch blocks using some floral fabrics. She is making quilts for the east coast hit by Sandy. She uses 42 blocks per quilt. I have to get these in the mail ASAP. Off to soccer soon with my younger son. Oldest son is out deer hunting with my husband and his Uncle. 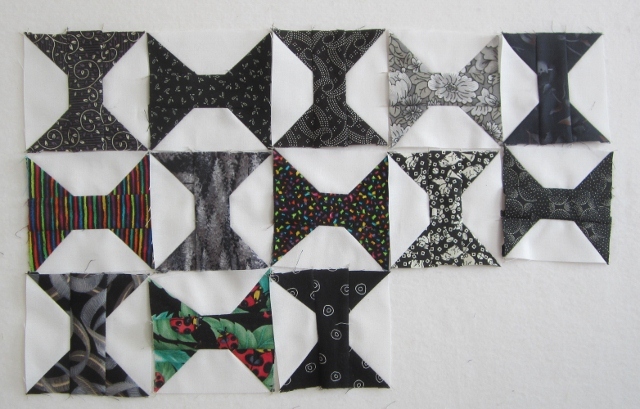 Love all the little bits of color in your black and white poverty piecing. 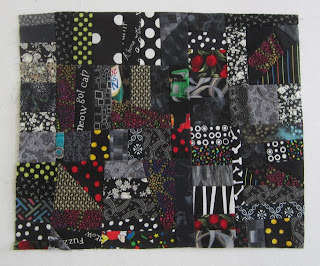 Sometimes scraps are easier to use up when they are all sewn together. I hope they turn into something fun. I love your 'poverty piecing' it just sparkles! Great black & white spools - the effect is so crisp and sharp looking! I like you poverty blocks. The little spools are so cute. Seems like all your poverty blocks would make a nice quilt to either keep or donate. The fabrics in all those blocks probably remind you of past sewing projects. Yay for leaders and enders and yay for donation blocks!